Proudly present you a new section of the website, Entertainment! It has a collation of all Mahjong-related shows and they are mainly collated by Lance! Please thank him for his effort! The picture below shows the new section circled in gold. 3 pages for anime,manga and live-action. 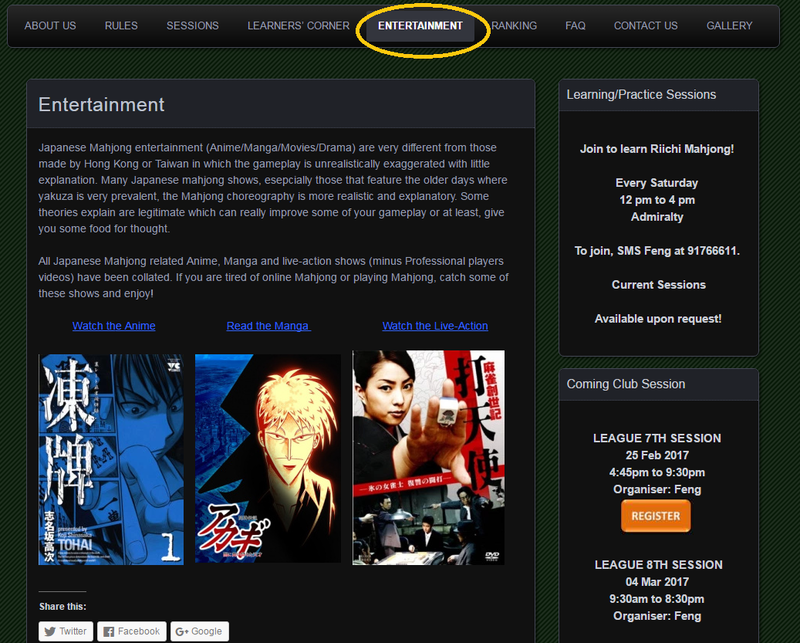 Each page you will see a whole list of mahjong-related series! If you know any other shows that we have missed out and there are links available for us to watch, do let us know!